What do you get when you combine 2 Skeptics itching for experimentation, an underutilized bottle of absinthe, and a blow torch? This weeks Thirsty Thursday cocktail! As moderate to heavy drinkers of all things spirited, the Westerosi vibe of wine and wit is deeply appealing to us and we can't wait to see the final season of Game of Thrones this Sunday. 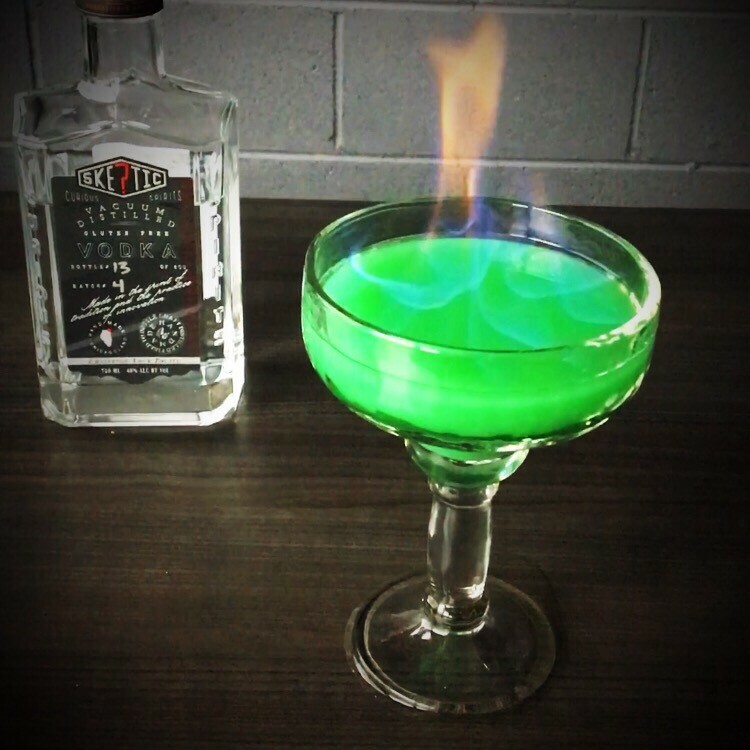 We were feeling inspired and thought, "well, if we're going to make a cocktail video, lets do it with a flare - or rather, a flame!" Thus, the flaming wildfire cocktail was born. 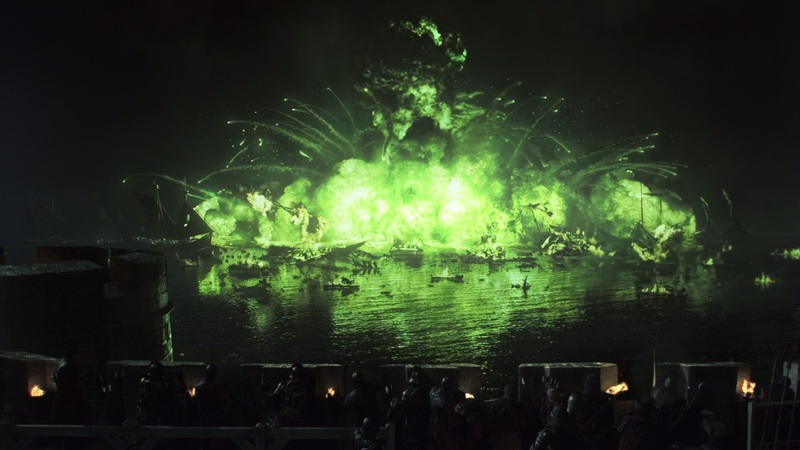 We all remember that awesome scene where Stannis Baratheon's fleet is decimated by an explosion of wildfire. This cocktail packs almost as much of a punch. Each spirit will produce a unique flame with some burning clearer, and others producing a beautiful blue flame. Burning the absinthe yielded a pleasant smokey smell and softened the anise taste in the drink. *Pro Tip: Try your best to float the spirit on top of the rest of the cocktail. It took us several tries to get this right because the absinthe tended to sink. Pouring it down the side of the glass is helpful. -Combine the above in a shaker with ice and strain into a glass. Add about a half shot of absinthe for a medium to large flame, or reduce for less anise flavor. Light it up! If it doesn't light right away, try to light it on the edge of the glass where you poured it.You can let this burn as long as you'd like or put it out right away with 2 oz of lemon-lime soda. Be mindful that the edge of the glass may be hot! A game of Cocktails Skeptic Spirits Win More Awards in Denver, CO Irish Indulgences - Melon Martini A visit from the Green Fairy Pomtinis, Old Fashioned's and Gibsons, Oh my!